The first samples of gutta percha to arrive in England were brought from Malaya by Dr. William Montgomerie. Amongst those he showed samples to were Michael Faraday, who suggested its use as an electrical insulator, and Charles Mackintosh, manufacturer of waterproof clothing. 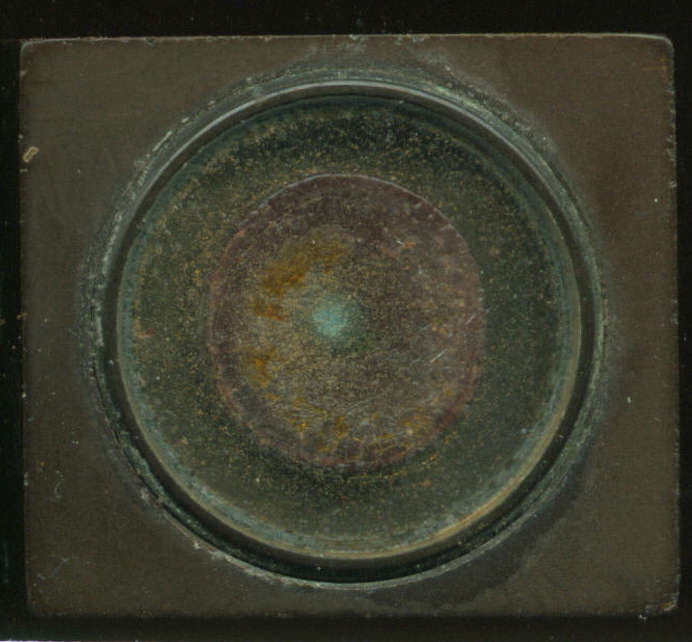 A partner of Mackintosh, Thomas Hancock, passed samples on to his brother, Charles, who at the time was trying to develop a stopper for bottles. He found gutta percha the ideal material. Joining forces with Henry Bewley, manufacturer of soda water, to produce the stopper and other articles from gutta percha they formed the Gutta Percha Company on 4 February 1845. 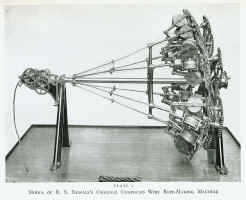 Bewley developed a machine for extruding gutta percha tubes and Hancock adapted this to apply gutta percha to wire as an insulation. A dispute arose between the two over the machine, leading to Hancock leaving the company. Bewley continued to produce insulated core, supplying it for both the 1850 and 1851 cross Channel cables. From then on insulated core became their main product. On 7 April 1864 the Gutta Percha Company merged with Glass, Elliot, and Company to form the Telegraph Construction and Maintenance Company Ltd.
Part of the 1851 cross Channel cable was armoured by Kuper and Company, wire rope manufacturers. Shortly after this the company was sold to Richard Glass who was joined by George Elliot and together they formed Glass, Elliot, and Company. When they took over Kupers they also took over a number of cable contracts. To carry these out they set up a cable manufacturing business in one of Kuper's factories at Morden Wharf. Needing larger premises they shared a factory at Enderby Wharf, Greenwich, with W.T. Henley, who also manufactured cables. This created problems for both companies until Henley decided to move to North Woolwich. 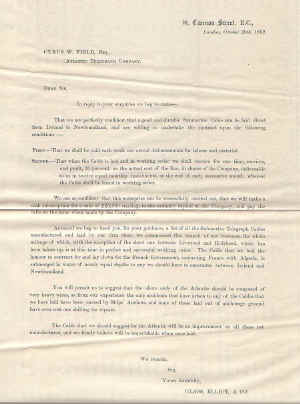 Letter from Glass, Elliot, & Co. to Cyrus Field, October 20th, 1862, with a quote for a cable from Ireland to Newfoundland. Attached to the letter is a list of all the cables made by the company to that date. PERSIAN: Built 1852 at Glasgow. Gross tonnage 600. Chartered from Potter and Company to lay the 1854 Spezia - Corsica and Corsica - Sardinia cables. Problems controlling the rate of payout resulted in the cable being damaged. The damaged portion was recovered and removed and the cable was completed successfully. RESULT: Built 1853 at Boston. Gross tonnage 1465. Chartered in 1854 from Green and Company to lay the Sardinia - Bona cable a continuation of those laid by Persian. Poor brake control resulted in the cable paying out too quickly resulting in there being insufficient cable to complete the job. During the night while the ship was hove to the cable parted and the scheme was abandoned. In 1858 Elba succeeded in recovering 60 nm of cable. DUTCHMAN: A second attempt to connect Sardinia and Bona took place the following year. Dutchman had the same problem of poor brake control leading to their being insufficient cable to complete the task. Dutchman held on to the end of the cable for five days waiting for additional supplies to arrive but the cable finally parted. Later R.S. Newall and Company used the vessel Star to recover part of the cable. PROPONTIS: Chartered in 1856 to lay the Cape Ray - Cape North cable and the link across the Gulf of Canso and the Northumberland Strait. SARAH BRYANT: Chartered to lay the the first section of the 1857 Atlantic cable between Cape Ray, Newfoundland and Cape North, Cape Breton Island. Taken in tow by James Adger; all went well until around forty miles of cable had been laid, when due to worsening weather both cable and tow had to be cut. BERWICK: Built 1855 by J.E. Scott, Greenock, Scotland. Length 183.3 ft. Breadth 27.1 ft. Depth 15.9 ft. Gross tonnage 537. Chartered by G. Elliot and D. Jonassohn to lay the 1859 Denmark - Heligoland; Folkestone - Bolougne and Sweden - Gotland cables and again in 1862 to lay the Wexford - Arbermaur cable. RESOLUTE: Built 1857 at Glasgow. Gross tonnage 204. Chartered from W. France in 1859 to lay the Whitehaven - Isle of Man; Jersey - France and Great Orme's Head - Lynas cables. This latter cable was laid for the Liverpool Docks Committee and was to replace the Great Orme's Head - Liverpool Semaphore Telegraph. The Semaphore was kept in working order in case of cable failure. 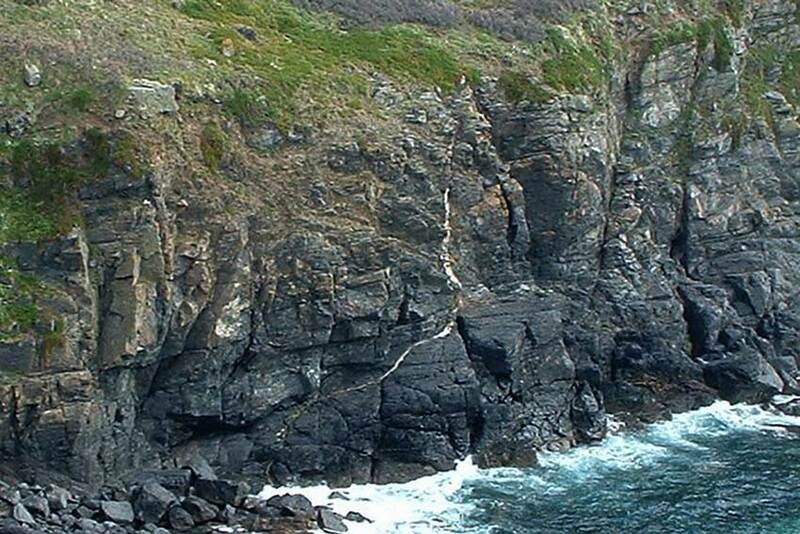 Chartered in 1862 to lay the Cape Clear - Greencastle cable and one across the Bristol Channel. LADY SEALE: Built 1846 at Dartmouth. Gross tonnage 264. Chartered in 1859 from owners Poole and Company to lay the Malta - Sicily cable. BRUNSWICK: Built 1861 at Liverpool. Gross tonnage 1328. Chartered in 1861 to lay the Toulon - Corsica and Port Vendres - Minorca cables. MALACCA: Built 1859 by Palmers Bros. and Company, Newcastle upon Tyne. Gross tonnage 1610. Under Captain Gilpin, took part in the Malta - Alexandria Telegraph expedition of 1861. HAWTHORNS: Built 1861 by Palmers Bros. and Company, Newcastle upon Tyne. Gross tonnage 752. Length 199.0 ft. Breadth 28.0 ft. Depth 17.3 ft. Gross tonnage 752. Chartered from owners Fenwick and Company on three occasions, 1862 to lay the Lowestoft - Zandvoort cable; 1863 the Sicily - Sardinia cable and 1865 the Sicily - Algeria cable. R.S. Newall & Company were wire rope manufacturers based in Gateshead. They held a patent, taken out in 1840, for the production of wire rope with a soft core. When the firm Wilkins and Weatherly began armouring the 1851 cross Channel cable they infringed this patent and were forced to hand the job over to Newall's, who carried out the bulk of the work at their Gateshead factory, the rest being sub-contracted to Kupers who held a similar patent. See Wire Rope and the Submarine Cable Industry and R.S. Newall's 1882 Observations for more information on Newall's. See German Cable Companies for more information on Kupers. Another very interesting event in 1857 was the construction of half of the first Atlantic Cable by Messrs. Newall and Co., in one of the sheds of the Birkenhead Dock Warehouses. The wire was supplied by Messrs. Johnson and Co., of Manchester, and the work, commenced in February, was completed on 13th June, and the cable shipped on board the United States man-of-war, Niagara, which set sail from the Mersey on the 27th July. Messrs. Newall and Co., also constructed at Birkenhead, in 1857, the new Mediterranean cable. This prosperous period for the firm lasted until 1859-60, when a cable manufactured by Newall's linking Suez and Karachi failed. This was the last cable made by the company for six years. In 1866 they manufactured and laid one for the Danish government and in 1870 one for the General Post Office between England and Ireland, this being the final cable manufactured by Newall's. 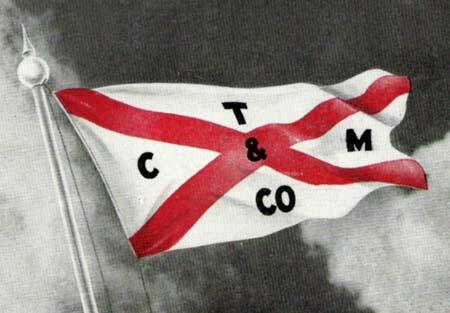 Formed on 7 April 1864, the Telegraph Construction and Maintenance Company (Telcon) was to become the dominant company in the manufacture and laying of submarine cables. The first Chairman of the Company was John Pender; he resigned in favour of Daniel Gooch in 1868 to form the Anglo Mediterranean Telegraph Company, the first of many companies he set up to provide links between England and the rest of the world. These companies eventually owned and operated a network of 160,000 miles of cable, the bulk of it manufactured by Telcon. Its first major contract was to lay a cable across the Atlantic for the Atlantic Telegraph Company on the basis of no payment if the expedition failed, which is what happened in 1865. Another attempt in 1866, this time for the Anglo American Telegraph Company and again using the Great Eastern, succeeded, as well as the recovery and completion of the 1865 cable. The company took the bulk of its payment in the shares of Anglo American. 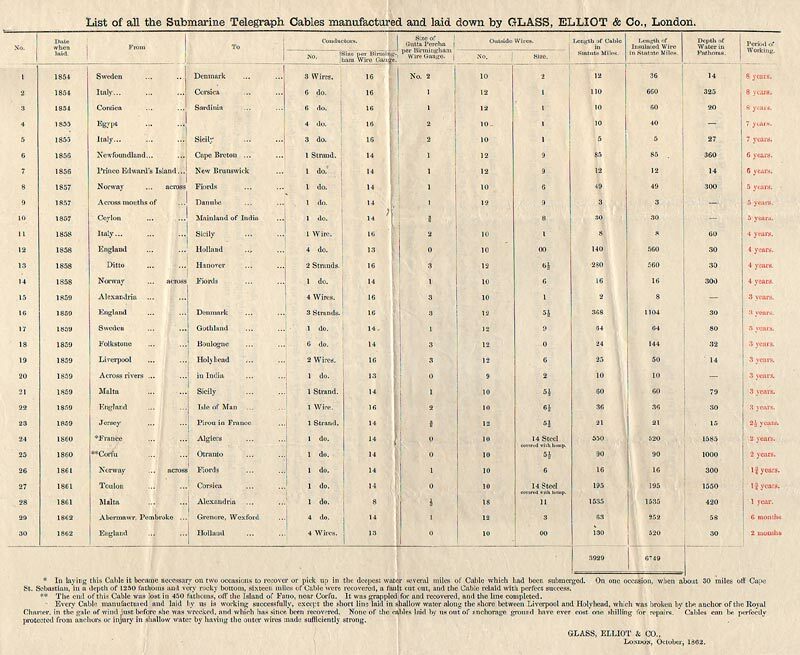 Three more Atlantic cables were manufactured by Telcon and laid by Great Eastern in 1869, 1873 and 1874, and in between, the Bombay - Aden section of the Indo European cable. Other Atlantic cables followed in 1880 (a major renewal of the 1866 cable), 1894, 1900, 1905, 1910, 1923, 1924, 1926 and 1928. As well as these there were cables to Australia, Egypt, India, New Zealand, across the Pacific, China, Hong Kong; the list is endless. On 9 February 1959 British Insulated Callender's Cables Ltd. acquired the share capital of the company and in so doing acquired 50% of Submarine Cables Ltd. From that date much of the submarine cable work was undertaken by Submarine Cables Ltd. Other departments of the company, such as power cables, were absorbed by BICC. Those sections that were incompatible with the new owner's core business of manufacturing cables were sold off. Another section which was transferred to Submarine Cables was that which manufactured and installed cable laying equipment on cable ships. In November 1966 BICC sold its 50% holding in Submarine Cables Ltd. to AEI, who already held the other 50% from their takeover of Siemens Brothers. On 4 February 1970 AEI sold Submarine Cables Ltd. to Standard Telephones and Cables Ltd.
William Siemens registered Siemens and Halske & Company in England on 1 October 1858, very much against the wishes of Halske. That same year, the firm signed a five-year contract to act as electrical consultants to R.S. Newall & Company. Siemens & Halske moved to Woolwich in 1863 and set up as independent cable makers and contractors, using cables manufactured by Newall. In 1864 they obtained a contract from the French government to lay a cable from Oran (Algeria) to Cartagena (Spain). Three attempts were made to complete it, but they all failed, costing the company £15,000, which represented most of its capital. Pressure from Halske finally brought this venture to an end. William then set about raising capital in England to set up a new company and on 1 January 1865 formed Siemens Brothers Ltd. 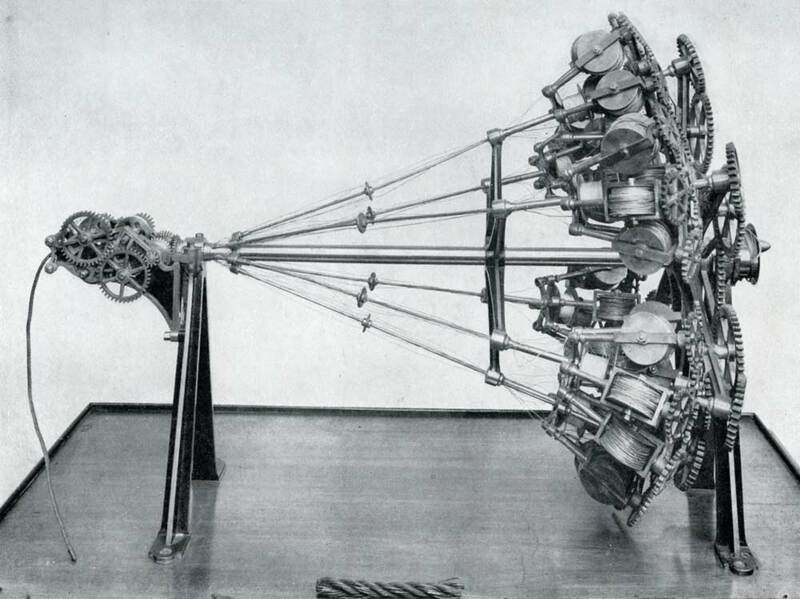 In the early days cable core was purchased from the Gutta Percha Company and Siemens applied the armouring. The merger between Glass, Elliot, and the Gutta Percha Company put them in the position of buying cable core from a competitor, and for a time they lost interest in submarine cables. In 1869 William was joined by his brother Charles (Carl) and in time they developed up a very successful business. 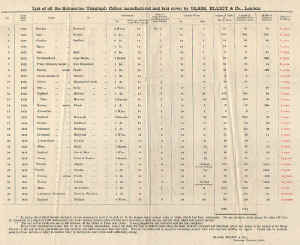 This 1870s price list shows the range of gutta percha covered cables made by Siemens. While carrying out work for R.S. Newall & Company William Siemens realised that converted merchant ships were not satisfactory as cable ships and he set about designing one. The result was CS Faraday (1), named after his friend Michael Faraday. Many of the ideas used in the ship were to become standard for all cable ships for many years. On 1 October 1935 the Submarine Cable division of Siemens Brothers and the Submarine Cable division of the Telegraph Construction and Maintenance Company combined to form Submarine Cables Ltd. Each parent company held 50% of the shares in the new company. During the 1950s and 60s many mergers took place in the British electrical industry. Siemens Brothers became Siemens Ediswan Ltd., which in turn became part of Associated Electrical Industries Ltd. (AEI). In 1969, following the merger of GEC, AEI and English Electric, the Woolwich factory closed and the site was partially redeveloped. The Siemens History News website, maintained by the German firm Siemens AG, has information on the company’s many technological achievements and brief biographies of its founders. See this 1897 article for a description of an Atlantic cable made by Siemens Brothers and laid by CS Faraday, and these reports on visits to the Siemens factory in 1874 and 1884. W.T. Henley moved to London in 1830, working as a labourer in the docks. In his spare time he taught himself instrument making. He undertook work for a number of people, including Charles Wheatstone. When the Electric Telegraph Company was set up using the Cooke and Wheatstone telegraph, Henley supplied the telegraph instruments. 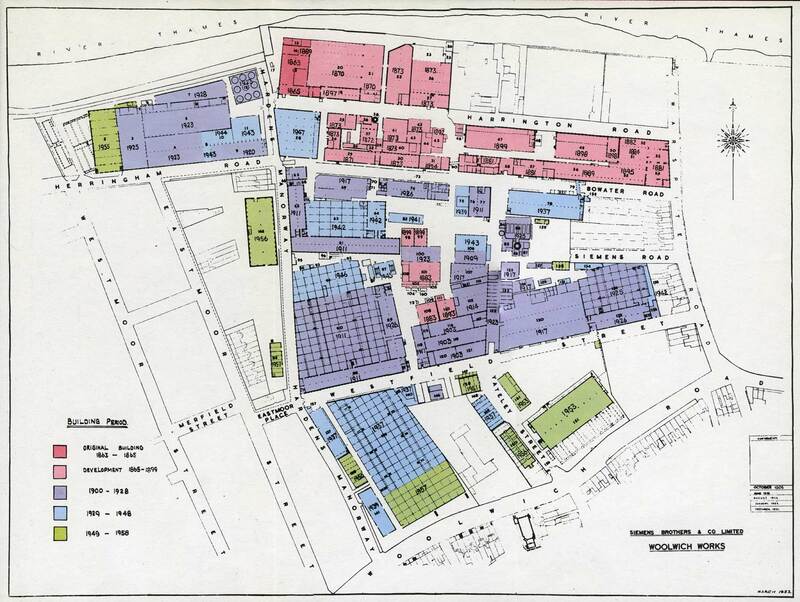 As the business developed he moved from Whitechapel to Clerkenwell and then to Enderby's Wharf at Greenwich, where he shared a factory with Glass, Elliot, and Company. A few months after this he moved again, this time setting up a factory on the opposite side of the Thames at North Woolwich. While sharing the factory with Glass, Elliot, Henley decided to enter the submarine cable industry, this prompting the move to North Woolwich. He purchased his core from the Gutta Percha Company or William Hooper's company. The first order received was to link Ceylon to India. Hooper supplied the core and Henley added the armouring. This was followed by an order from the Spanish Government to link Ceuta and Algeciras. He also received many sub-contract orders from the Telegraph Construction and Maintenance Company. The firm continued making submarine cables until the turn of the century when they more or less ceased production. Shortly after World War II the company became part of Associated Electrical Industries Ltd., (AEI) and the North Woolwich factory closed. In 1967, the General Electric Company took over AEI Cables and the Henley name was reborn as GEC Henley Limited. The next change was in March 1997 when Henley's was acquired by TT electronics plc. Most recently, in November 2010 the firm was acquired by Group Sicame and is again known as WT Henley, a division of Sicame UK Limited. See also this illustrated account of a visit to Henley's factories at Woolwich and Gravesend in 1912, this page for a detailed index listing of archive material on the company, and this page for a 1946 Long Service certificate. William Hooper was a chemist who set up a factory around 1845 in Mitcham, Surrey, to produce rubber goods mostly for the medical profession. He experimented with rubber insulation for electric cables and eventually found a way of insulating cables in a continuous process. The Indian Government placed the first order received by the company, for 12 nm of cable. This was followed by another order for cable to link India and Ceylon. As with the first cable Henley's carried out the armouring. In 1870 Hooper formed Hooper's Telegraph Works Ltd. to undertake both manufacture and laying of submarine cables. The first order for the new company was from the Great Northern Telegraph Company for a cable connecting Vladivostock - Nagasaki - Shanghai - Hong Kong, a distance of 2300 nm. This time Siemens Brothers carried out the armouring. Hooper's purchased a vessel and converted her to lay this cable, renaming the ship Great Northern. In addition they chartered CS Africa from Henley's. The directors of Hooper's put forward a scheme to set up the Great Western Telegraph Company to lay a cable from England to the USA and on to Bermuda. For this purpose they launched CS Hooper, second in size at that time only to Great Eastern, and the second ship to be designed solely for cable laying and repairing. 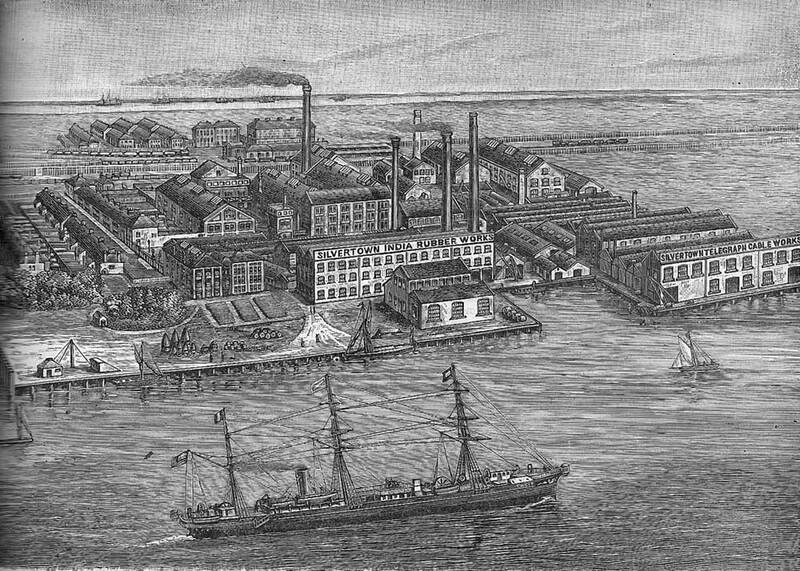 Hooper's had been attracted to this route by the profits being made by the Anglo American Telegraph Company, but the Telegraph Construction and Maintenance Company, which had a substantial holding of shares in Anglo American, offered them its South American concessions on the condition that Hooper's dropped the transatlantic plan, which they did. In 1873 the cable already manufactured for the Atlantic was used on the east coast of South America between Para and Rio de Janeiro. Other cables were laid for the West India and Panama Telegraph Company and the Cuba Telegraph Company. Also in 1873 Hooper's promoted a South African cable, even making cable samples marked “First Submarine Cable to South Africa 1873” using the same cable as the Para-Rio line. The company could gain neither investors nor goverment subsidies for this project, and it was abandoned. In 1877 the company went into liquidation and for a time operated as a private company. Shortly after this Hooper died. In 1894 the name of the company changed to Hooper's Telegraph and India Rubber Works Ltd. By this time both cable ships owned by the company had been sold. S.W. Silver & Company began in the 18th Century as Colonial and Army agents, clothiers and outfitters principally to those in the Army and Colonial Service, as well as acting as shipping agents for such people travelling overseas. When Charles Mackintosh introduced waterproof clothing, Stephen Winckworth Silver set up a factory at Greenwich, making similar garments. Later this expanded to include insulated wires and cables. In 1852 the factory moved to Woolwich Reach on the north bank of the Thames. The factory continued to expand, employing most of the local population, and the area became known as Silvertown, a name that still exists today. Silver was succeeded by his two sons, Stephen William and Colonel H.A. Silver, who continued to expand the business. In 1859 S.W Silver promoted the Patent Caoutchouc Insulator, a new method of using india-rubber for submarine cable insulation, but this had no long-term success. In 1863 Silver formed Silver’s India Rubber Works & Telegraph Cable Company, Limited, and in 1864 Charles Hancock, formerly of the West Ham Gutta Percha Company, joined the company, bringing with him his patents and knowledge of gutta percha. Together they took out a patent for waterproofing and insulating materials. With this new patent and Hancock’s experience of cable manufacture they decided to enter the field of submarine cable manufacture and to finance this venture they set up the India Rubber, Gutta Percha and Telegraph Works Company (IRGP) offering shares to the public. In the same year they absorbed Hancock’s Gutta Percha Company. The first cable manufactured and laid by the company was for the Submarine Telegraph Company in 1865, running from Dover to Cap Gris Nez. This was followed in 1867 by a cable for the International Ocean Telegraph Company which linked Havana, Cuba - Key West and Key West - Punta Rassa. This route was duplicated in 1868. The company became active in promoting Telegraph companies and in 1870 with Sir Charles Tilston Bright and General W. F. Smith, the President of the International Ocean Telegraph Company, they set up the West India and Panama Telegraph Company, the Cuba Submarine Telegraph Company and the Panama and South Pacific Telegraph Company. These three placed an order with the company for 4000 nm of cable. CS Dacia and CS International were used to lay these cables. Other companies promoted were the Direct Spanish Telegraph Company in 1872, and the West Coast of America Telegraph Company in 1875. As work increased the company acquired two more cable ships, CS Silvertown and CS Buccaneer, and all four vessels were kept busy laying cables along the west coast of Africa and in South America and for the French Government. During the ten years 1902-12 the company manufactured few cables but its ships were kept busy on cable repairs or bulk cargo charters. However, by 1914 the company owned just one cable ship and when CS Dacia was torpedoed in December 1916 they withdrew from submarine cable work until 1922, when CS Silvergray was purchased and converted. The vessel was only used for two or three years before being sold to the Medway Steam Packet Company. As well as cable manufacture the company also supplied electric generating plant to towns and cities in the United Kingdom and on the Continent. In the 1890s they began producing bicycle tyres and later car tyres. By 1923 the works employed 4000 people and covered an area of 17 acres. In addition they had factories in Burton on Trent and France. Around 1927 the company began experiencing financial difficulties. These lasted until 1933, when the British Goodrich Rubber Company, a wholly owned subsidiary of the B.F. Goodrich Company, Akron, Ohio, acquired a controlling interest. The following year the parent company sold most of its shares in the British company which at the same time changed its name to the British Tyre & Rubber Company. In 1956 the company changed its name to BTR Industries Ltd. following its decision to cease manufacturing rubber tyres. 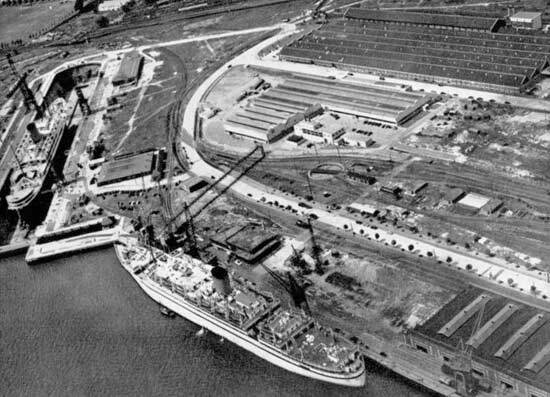 During the 1960’s BTR underwent a reorganisation, the Silvertown Works site was sold and was redeveloped as the Thameside Industrial Estate. In 1999 BTR merged with Siebe to become BTR Siebe, the name later changing to Invesys PLC. See also this page on the company, this 1875 article, the detailed listing of the cable report books published by the IRGP, and this 1900 book. Built in 1873 by C. Mitchell & Company, Newcastle upon Tyne. Purchased in 1881 from Hoopers Telegraph Works Ltd., and renamed Silvertown. Then bought by the Anglo American Oil Company in 1912 who converted her into an oil tanker. Became an oil hulk in 1918 and then in 1924 moved to Algiers there becoming a coal hulk with the name Francunion II. Sold to Dutch shipbreakers in 1936. Built in 1825 by Wigham Richardson and Co., Newcastle upon Tyne. Built as a tender to Silvertown and initially fitted with two cable tanks, 22 feet in diameter and 10 feet deep. Later a combined paying out-picking up machine was added. In service until 1914 when she was wrecked. Built in 1920 by McDougall Duluth S.B. Co., Duluth Minnesota. Built for carrying molasses and named Julius Kessler. Purchased in 1922 and fitted out by Johnson and Phillips who provided an aft paying out machine and a forward duplex machine. Sold to the Medway Steam Packet Company after a few years cable work. Built in 1866 by J. Laing and Co., Sunderland. Chartered to lay a cable across the River Plate in 1873 between Montevideo and Punta Lara for the River Plate Telegraph Company. These were chartered as cable carriers for the West India and Panama Telegraph Company expedition. The early years of the company were very lean. Submarine Cables Ltd. came into being because of the Depression, there being insufficient work for the two companies which formed it. The parent companies owned two cable ships CS Faraday (2) and CS Dominia and with only enough work for one, the latter was sold to Russia. More info on Dominia. The first cables supplied by the company were laid between England and Holland in 1937 using CS Faraday (2). Other short cables followed but it was the need for the stockpiling of cables for World War 2 that provided a substantial amount of work. After the war the company was involved in the manufacture of many of the new co-axial telephone cables including TAT-1, for which the company manufactured 92% of the 3884 nm of cable required. For TAT-2, 2200 nm of cable were manufactured. Both of these cables were made at the newly built factory at Erith in Kent. Further cables included CANTAT 1, 2550 nm of cable; SEACOM I & II, 4700 nm of cable; and cables for the GPO for laying between England and the Continent. In addition to all this cable activity the company also supplied cable gear to CS Alert (4), CS Mercury (after gear only), CS Inguls, CS Jana, CS John Cabot and others. On 4 February 1970 AEI, which owned the company, sold it to Standard Telephones and Cables Ltd.
On 2 May 1883 J. E. Kingsbury set up an office in Moorgate in the City of London to sell telephones manufactured by Western Electric in the USA. Business was brisk and on the 1 January 1898 a small factory was established in North Woolwich to manufacture the telephones rather than import them from the USA. In 1925 Western Electric reorganised its overseas interests and the English branch became part of the International Telephone and Telegraph Corporation and changed its name to Standard Telephones and Cables Ltd. The company concentrated on land line systems and provided much of the equipment used in telephone exchanges as well as telephones and the land lines connecting the network. Its first venture into submarine cables was in 1929 when an associate company, International Standard Electric, laid two cables; one from Algiceras to Ceuta and the other from Tenerife to Gran Canaria, with STC overseeing the projects. Similar schemes were carried out in 1935 when Siemens Brothers manufactured and laid a telephone cable from Australia to Tasmania using CS Faraday (2) and in 1937 across the Cook Straits. On this occasion Submarine Cables Ltd. supplied and laid the cable using CS Recorder (2). 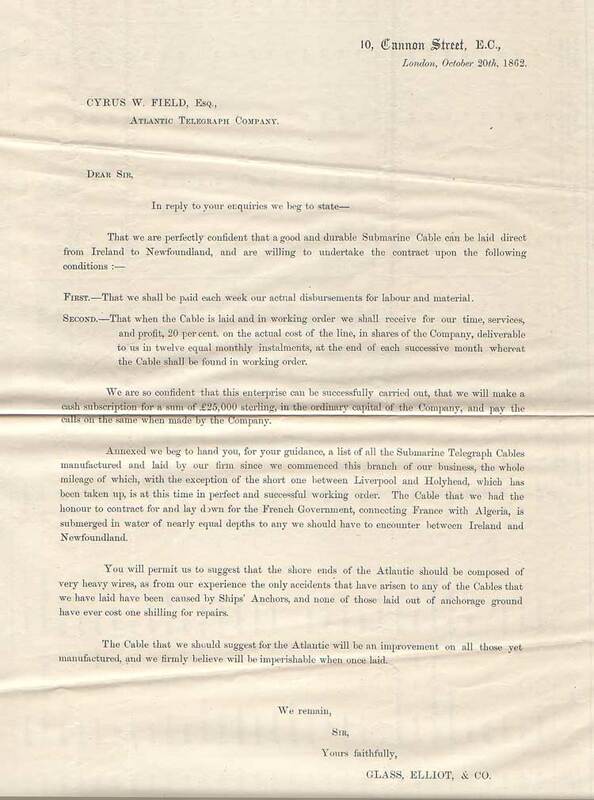 It was not until 1954 that STC was in a position to manufacture submarine cables. In that year they built a factory at Southampton Docks to manufacture British designed lightweight submarine telephone cable and in 1962 another factory opened on the same site, this time to manufacture the USA lightweight cable. Like its competitor STC was involved in many of the new cables being laid, TAT-1, COMPAC, SEACOM, COLUMBUS 1, CANTAT 2 and 3, etc. On the takeover of Submarine Cables Ltd., the factory at Erith built to manufacture TAT 1 was closed, and the repeater work was moved to Greenwich, as was the STC repeater section at Woolwich. The old Telcon factory at Greenwich was also stripped out and re-equipped; some of the equipment removed had originated in the days of the Great Eastern. In 1975 cable manufacture ceased at Greenwich and all subsequent cables were made at the Southampton factory. Repeater and optical amplifier research, development and manufacture remained at Greenwich. In 1982 ITT offered shares in Standard Telephones & Cables Ltd., to the public, retaining a 35% stake. In 1987 Northern Telecom purchased ITT's shares which at the time represented 27% of the total share capital. In March 1991 it bought the remaining shares in the company. In 1993 Northern Telecom decided to dispose of STC and offers were invited, the only firm one of £600 million coming from Alcatel Submarcom. Following a favourable inquiry by the Competition Commission the purchase went ahead.